Thus Shiva Linga represents the mark of the cosmos. Swami Vivekananda gave by far the best rebuttal to Western claims that it might be a symbol of phallic worship, by giving proof from the vedas. Swami Vivekananda gave a lecture at the Paris Congress of the History of Religions in 1900 during which he refuted the statements of some Western scholars that referred to Shiva linga as phallic worship. Vivekananda’s words at the congress were in connection with the paper read by Mr.Gustav Oppert, a German Orientalist, who tried to trace the origin of the Shalagrama-Shila and the Shiva-Linga to phallicism. To this Vivekananda objected, adducing proof from the Vedas, and particularly the Atharva-Veda Samhita, to the effect that the Shiva-Linga had its origin in the idea of the Yupa-Stambha or Skambha—the sacrificial post, idealized in Vedic ritual as the symbol of the Eternal Brahman. The Bana Lingam is a most Sacred Symbol and Divine Energy Tool, both in the ancient and in this modern world. The Bana Lingas are Swayambhu Shiva Lingas that have taken shape in the Sacred Narmada River, in the Central Western part of India. 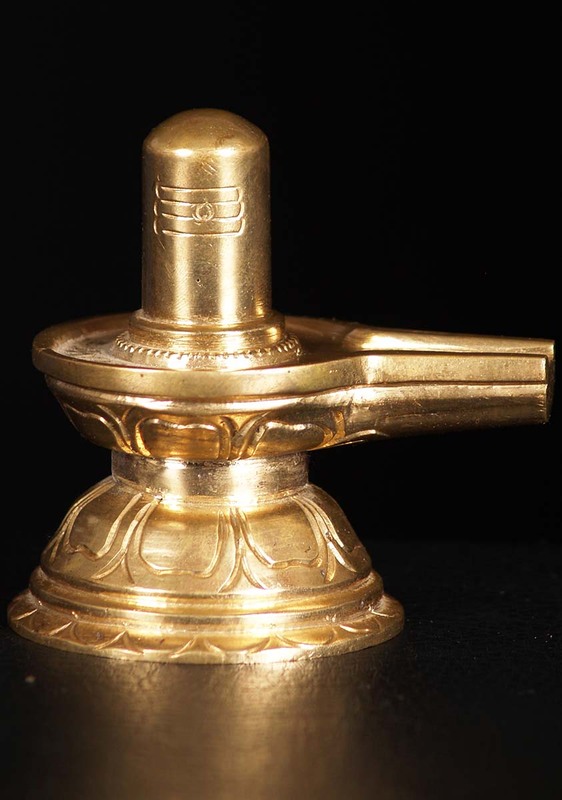 This is why the Bana Lingams are also known as the Narmada Banalingas or Narmadeshwar Shiva Lingas.The Narmadha Bana Lingas became very famous throughout the world, after the film “Indiana Jones and the Temple of Doom” was screened : this is the very same Sacred Stone that they were searching for . 3, on the banks of the holy river Narmada. The bits that fell in these places soon multiplied into crores,. each bit becoming a linga. As they formed part of the possession of Banasura, they were called Bana-Lingas. 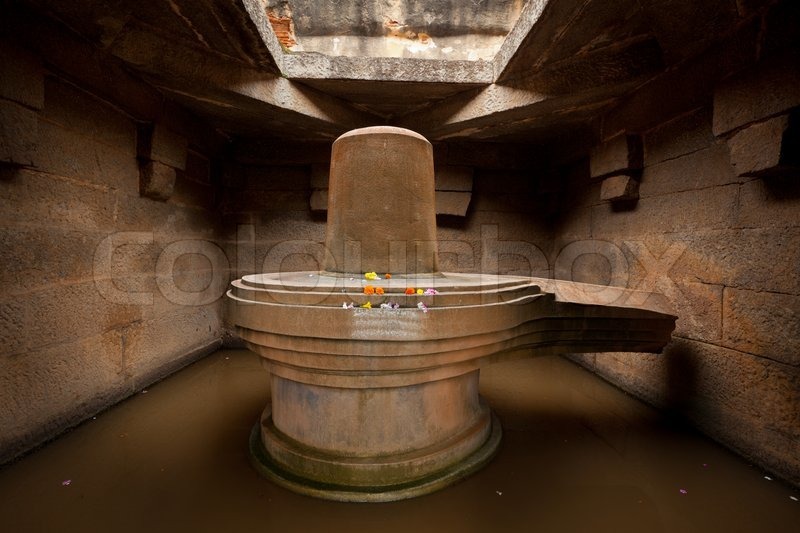 It is the considered view of many researchers and geologists that the unique composition of the Narmadha Shiva Lingas was due to the impregnation of it’s rocky river-sides and the rocks in the river bed, 14 million years ago by a large meteorite that crashed into the Narmada River. 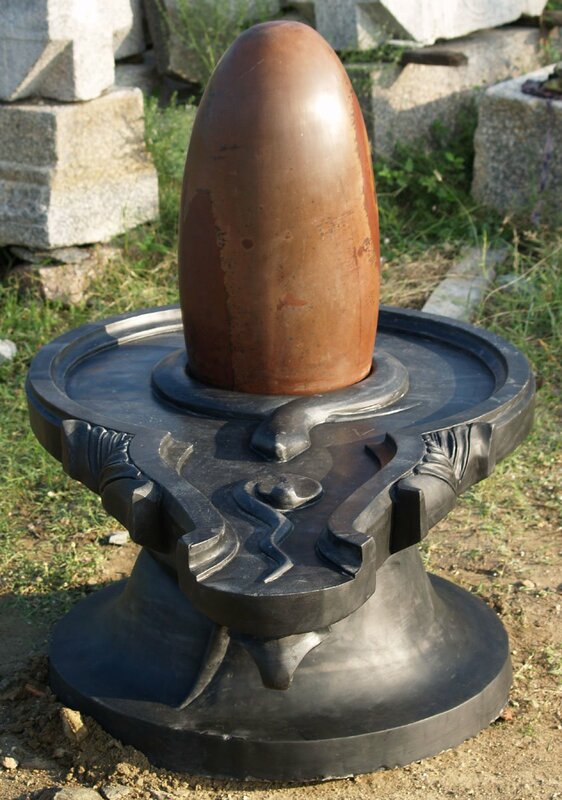 The fusion of the Meteorite and the Earthly Minerals has spawned a new and unique type of Crystalline Rock with extraordinary energetic qualities - the Narmada Bana Lingam. The bana Lingas contain Crypto Crystalline Quartz (masses made up of either fibrous or granular aggregates of tiny, microscopic Quartz Crystals) and a Gemstone material called Chalcedony (with an iron oxide and geothite inclusion) alongwith Basalt and Agate - this unique composition coupled with elliptical shape has a precise resonance in alignment with our Energy Centers or Chakras and are used for thousands of years as Divine Energy Generators for Cleansing, Healing and for Meditation. 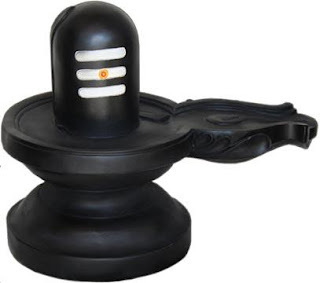 The Narmada Bana Lingas are quite strong and the hardness is a 7 on the Moe’s Scale, one of the highest frequency vibration rates of all stones on earth. 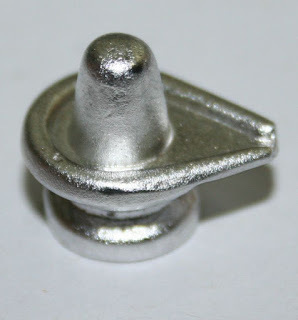 The vibration of bana linga is said to be perfect for purification purpose. Thus Matsya-Purana (Chap. 165-169), truly said drinking the water from this river (Narmada) and worshipping Siva (Bana Lingam) will secure freedom from all states of misery.